The best luxury spa resort California reviews. 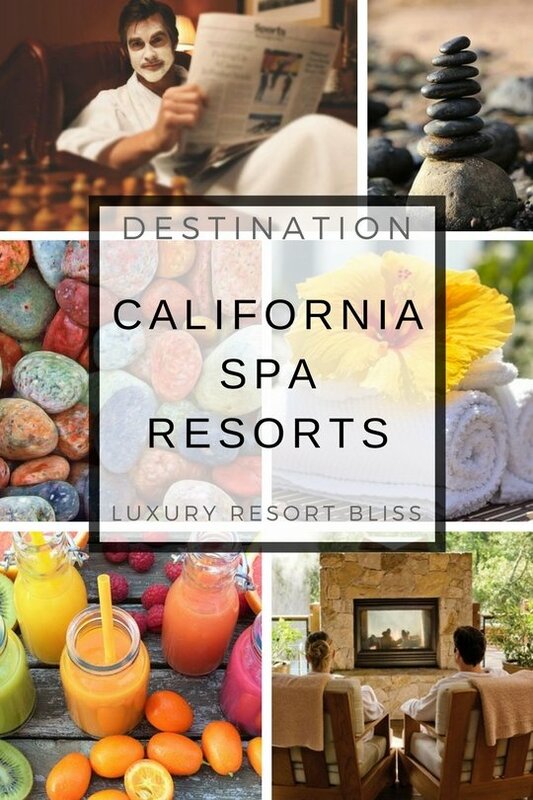 There are a number of great luxury spa resorts in California. All the spa resorts here are 5 star and receive excellent reviews from past guests. 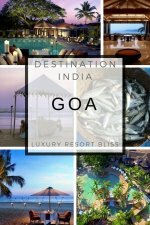 Also see the reviews of the top more Luxury Spa Resorts and All Inclusive Spa Resorts. 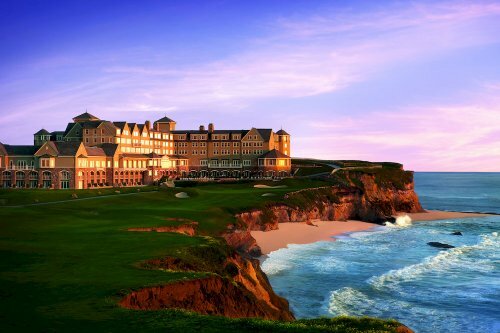 Located on 50 miles of coastline, this resort is in Northern California, south of San Francisco. It has 36-holes of championship golf. The spa is on an ocean bluff, has 16 treatment rooms, men's and women's lounges, a candlelit co-ed Roman mineral bath and contemporary American cuisine. See special offers and reviews. Los Angeles has a number of great resort-hotels with spas. Here are some of our favorites. The Peninsula is located in Beverly Hills. The Spa has precious gem treatments, a variety of body scrubs, gentlemen's treatments and a rooftop garden serving breakfast and lunch. Learn more about the resort and see special offers and reviews. This resort is in a residential area close to Rodeo Drive and gets great reviews. The spa has one-of-a-kind treatments, a private poolside cabana for outdoor spa treatments, deep tissue massage, foot reflexology, and more. Located in downtown LA, this is a spa in the center of it all. More on the Ritz-Carlton LA. 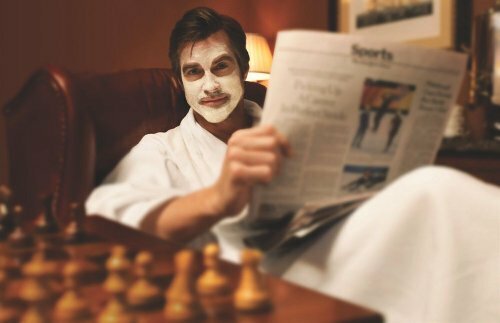 The Spa is known for it's anti-aging treatments. There are 6 treatments rooms (one for couples), cellular facials, a hydrotherapy tub and use of light therapy. For more on these resorts and to see more, visit our luxury resorts in Los Angeles page. 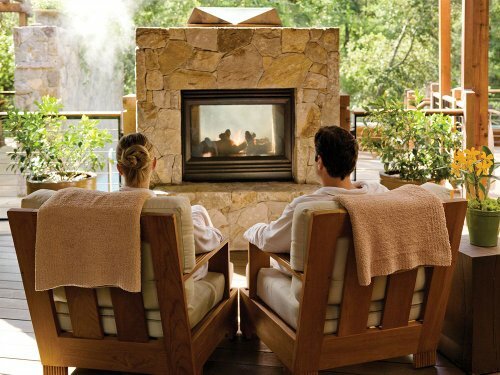 A couple of great spa resorts in Napa are Bardessono and the Calistoga Ranch Bathhouse Spa. 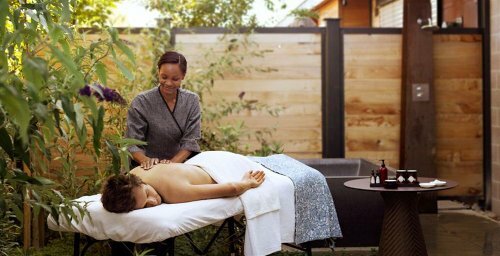 There are more great spa resort as well and you can see them on our﻿ Napa Valley Luxury Resorts page. Bardessono is a fantastic resort that has made a name for itself with it's great full-service spa. Treatments are designed around the seasons with the goal of nourishing your body and spirit. Pets are welcome here and there are special luxury packages that include you and your pet. Reviews are almost always perfect as well. Get more information and see the latest reviews for Bardessono. The spa at Calistoga Ranch seeks to give you a sense of belonging to land and culture and they believe strongly in the healing power of pleasure. There are a variety of treatments like, Attunements, Heat to Toe, facials, a variety of massages including a Canyon Sage Warm Stone massage, body restoration treatments, couples treatments, skincare and more. See the full range of treatments. See more on the resort or see the latest reviews. The luxury resorts in San Diego all have wonderful spas. 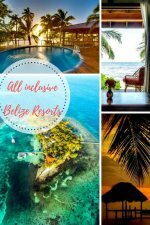 You can go straight to that page to see the resorts or take a look at what the spas have to offer below. The spa at the beautiful Rancho Valencia is a great choice. It has great treatments like mud baths, hydrotherapies, massages and focuses on wellness and tranquility. There's a Pilates studio, yoga, fitness and more. The Lodge at Torrey Pines has a great spa that is unique in that it uses marine and botanical based products and has a variety of treatments. The spa at Fairmont Grand Del Mar has a wide selection of treatments, an adult-only lap pool, custom organic products and more. For more spa resorts visit San Diego luxury resorts and San Diego resorts. Palm Springs has a number of luxury resorts, many accompanied by great golf courses. Here are two of our favorite spa resorts. A large and recently updated spa focused on relaxation. There's a steam room, sauna, hot tub, pool, and over 50 treatments. They use pure blends of flowers, plants and herbs from the California desert. Learn more about Omni Rancho Las Palmas Resort & Spa. The Hyatt Regency Indian Wells has an award-winning spa focused on pampering and pleasure. There are many treatments available with the theme of tranquil waters in mind. Learn more about Hyatt Regency Indian Wells Resort & Spa. This resort is between Los Angeles and San Diego in Dana Point. It overlooks the Pacific Ocean. Each treatment at the spa starts with tossing a coin into the "Well of Desires" signifying leaving your troubles behind. There are 3 story waterwalls and waterfalls. Treatments come from various places including Southern California and Hungary. "Forbes Five-Star Rated Spa Gaucin ...quiet moments of celebration"
Click here for more San Diego luxury resorts. This resort is in Carmel Valley, set among the vineyards. The spa has a meditation garden, soaking pool and a warming room. It uses natural ingredients from the on-site organic garden, the pacific ocean and vineyards. They also have the distinctive vinotherapy. On the cliffs of Big Sur, 1,200 feet above the ocean, Post Ranch Inn's environmentally-sensitive design has a spectacularly dramatic effect. A great place for romance. The spa has specialized therapies including craniosacral massage, reflexology and reiki. Facials use aromatherapy and natural botanicals. This spa was voted #1 in North America and was on several "best spa" lists in recent years. Just south of Santa Barbara, this resort sits on 220 acres and has a championship golf course. Tripadvisor has rated this spa as #1 in the world in the past. It's very large, it's program can be tailored for your individual needs and preferences and it's treatments are designed for relaxation, pampering and detoxification. "learn from local artists to work creatively in a variety of media, including oils, pastels, watercolor"
This Spanish Colonial style resort is in Montecito. The spa has a fragrant rose garden, treatment ingredients are from the sea and gardens of Santa Barbara. There are treatments for teens and exclusive treatments like "vineyard harvest" and "customized moor mud mask". This resort is 30 minutes south of San Jose in the foothills of the Santa Cruz Mountains. There is a winery and championship golf. The spa has a number of traditional and classic services. The treatments use the healing power of water from ancient European traditions. South Coast Winery Resort: 76 luxurious villas tucked away in a truly unique vineyard setting. Best reviews on this list. Olympic Resort Hotel and Spa: Carlsbad. Located approximately two miles from Legoland and 35 miles from San Diego. Morongo Casino Resort Spa: San Gorgonio and San Jacinto Mountains, this 44-acre landmark features four-star accommodations and service. 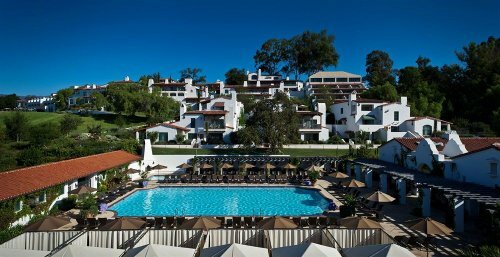 Marriott Laguna Cliffs Resort And Spa, Dana Point: an intimate Laguna Beach resort tucked among the cliffs of the Pacific coast at Marriott's Southern California beach resort. 4 star luxury spa resort California. Miracle Springs Resort & Spa: 110 spacious guest rooms with private patios and balconies. A full service spa is on site and there are 8 pools. Desert Hot Springs. Two Bunch Palms Resort And Spa, Desert Hot Springs: desert oasis, on 56-acres, with natural hot mineral springs. Adults only. 4 star luxury spa resort California..
Montage Resort and Spa Laguna Beach: On the dramatic cliffs of Laguna Beach. The Resort And Spa Lake Arrowhead: Recent $20 million dollar redesign to create a world-class luxury mountain resort. Pala Casino Spa And Resort: Inspired by the architecture of Frank Lloyd Wright. 4 star luxury spa resort California. Palm Canyon Resort And Spa, Palm Springs: Professionally managed resort offers the amenities and comforts of home. Did you find the luxury spa resort you were looking for? If so, great! If not, check out more Luxury Spa Resorts, All Inclusive Spa Resorts or Europe Spa Resorts.